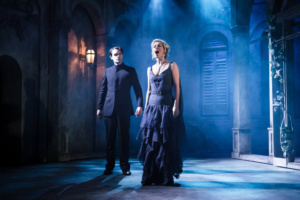 Producers have announced details of two planned cast changes in the European premiere production of the musical Death Takes A Holiday at the Charing Cross Theatre. A soaring story of the preciousness of life and the overwhelming power of love, Death Takes A Holiday continues its limited season to Saturday 4 March. From Monday 13 February, James Gant will take over in the central role of Death from Chris Peluso, who is leaving the production as planned for the UK tour of Funny Girl. 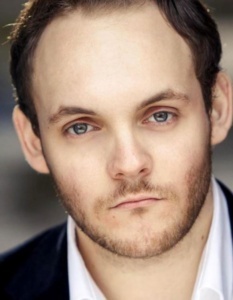 James played Etches in Titanic (at Charing Cross Theatre); Mr Bumble in Oliver! (Leicester Curve); Rohna and Zinnowitz in Grand Hotel (Southwark Playhouse); and was cover Javert in Les Misérables (Queen’s Theatre). 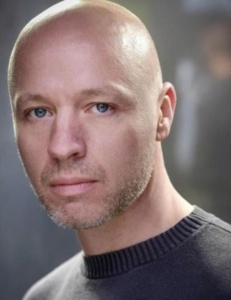 Gant’s current role of manservant Fidele will now be played by Ken Christiansen, who has been shortlisted twice as Best Supporting Male Performance in the 2016 Offies for The Fix and The Rise & Fall of Little Voice. The story of Death taking human form and having a weekend away from his Grim Reaper duties may not appear to be the most promising, nor cheery, storyline for a musical. 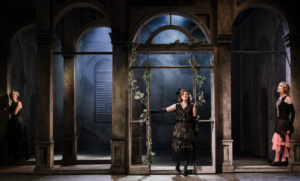 Had Thom Southerland, director of Death Takes a Holiday and the well regarded artistic director of Charing Cross Theatre, made the right choice for opening the 2017 season? 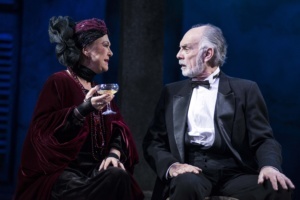 Based on the 1924 play La Morte in Vacanza by Alberto Casella, ‘Death Take a Holiday’ has had a few incarnations since. It was first a Broadway play, then a film in the 1930s, a TV movie in the early 70s and reinvented as Meet Joe Black for another cinema airing in 1998. a musical version was conceived in 1997 and eventually had a short off Broadway run in 2011. It’s a version of the latter that we have now, with a book by Thomas Meenan and Peter Stone and music and lyrics by Maury Yeston. From the first note of the opening act, it feels that this is going to be a big production and that feeling does last throughout. Although the stage is small and the scenery (set design by Morgan Large) simple yet charming, this does feel like you’re watching something much bigger but it never feels as if its punching above its weight. Maury Yeston’s score certainly has a variety of styles to it; heavily orchestral in places, jazzy in others. On the whole, the style of each song works to portray the mood of the scene perfectly, the audience taken on a musical journey of emotions from melancholy to merriment. 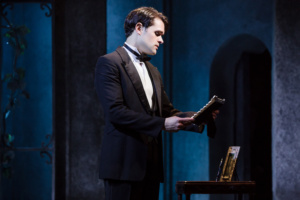 The first act does a lot of scene setting and had a lot of songs; indeed perhaps one too many songs, to the point that occasionally Death take a Holiday seemed to have delusions of being a sung through musical. Some of the back stories (such as how Major Fenton thought he knew Prince Sirki (Death’s alter ego)), felt slightly drawn out and didn’t add a lot to the action. But characters were mostly believable and well acted. Special mentions to James Gant as the slightly awkward butler, Fidele, Ashley Stillburn as the stroppy spurned Corrado and Scarlett Courtney as the delightful Daisy. The second act came across as much punchier. The musical numbers, though fewer, were stronger and more meaningful. The storyline picked up a pace and although act one was fine, this was a much more enjoyable watch. The production came with a highly accomplished cast, the two leads both formerly principals in two West End heavyweights – Zoë Doano as Grazia (Cosette in Les Miserables) and Chris Peluso as Death/Prince Sirki (Chris in Miss Saigon). As expected these two delivered; their voices both amazing, at times making the hairs on your neck stand up. Their duet, More and More, being the stand out vocal performance of the show. Death Takes a Holiday deals with an immortal entity experiencing human feelings and emotions for the first time. These range from comic, such as when Prince Sirki’s maid brings him his towels and the reaction that gives him, to the extremely touching moments as he falls for Grazia. It may have made the plot more powerful if we could have seen a bit more of Death’s dark side along the way. The emotional scenes aren’t limited to the leads, the song ‘December Time’ between the elderly Evangelina (Gay Soper) and Baron Albione (Anthony Cable) is both sweet and beautifully sung. Although a little drawn out in places and needing a sprinkle more of malevolence, this is generally an enjoyable show with some strong performances.